I’ve always enjoyed being part of groups. I remember sharing the excitement of reading and writing my first words with my first friends in pre-school. I cherish the time spent with fellow ballerinas met during afternoon classes filled with black leotards, pink tutus and dreams. I treasure my “13 going on 30” group of classmates that became life sisters in and out of the classroom and continue to be so now that I am in my thirties. In college, beyond attending group classes, the best times were the ones spent studying at home, when I was offered calculus tricks in exchange of Italian lessons. Then, a small group of friends started the “Business Student Committee”. I joined immediately. We had a book club and indulged in stimulating conversation. We discussed global trends, learned together, challenged each other, and most importantly, challenged the systems around us. We became professionals, and some old and new colleagues became my best allies in work and life. Years later, I started blogging and my readers stole my heart. It was only them and me for a while, and they kept my blog and me alive. I am not a natural writer, nor tech savvy, and as helpful as the blogosphere and WordPress community are, it was difficult to figure out things by myself. Google was not enough either. I felt lonely and frustrated at times. 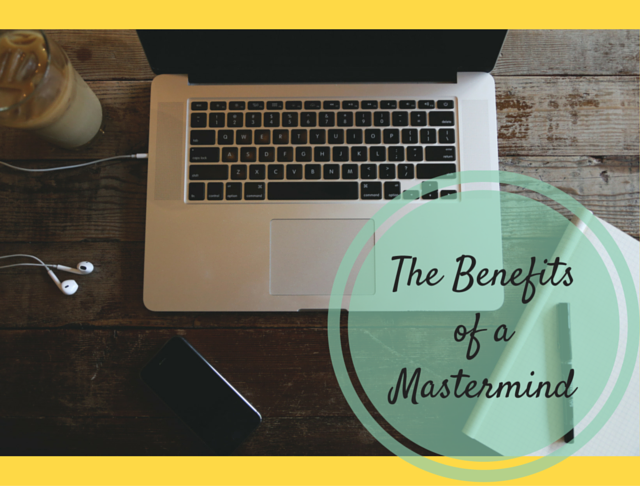 Not long ago, I started seeing the word “mastermind” come up frequently when reading my favorite authors and topics, and I was delighted to learn its meaning. In his book, “Think and Grow Rich,” Napoleon Hill describes a mastermind group as, “A friendly alliance with one or more persons who will encourage one to follow through with both plan and purpose. Then, in his book “Master Key to Riches” he says, “Every mind needs friendly contact with other minds, for food of expansion and growth.” According to Hill, mastermind groups are established to help create an environment that nurtures and supports growth. How beautiful is that? I didn’t know the concept yet, but all my life I have been part of informal mastermind groups. As a blogger though, I didn’t have one and that was exactly what I was missing. Then, I found The Blogger Union. As it reads in the “About” section: The Blogger Union is a supportive and inclusive community of bloggers, united for the common goal of growing and thriving together — all while building lasting friendships with like-minded creative entrepreneurs. My blogger’s dream came true! I have always loved my blog, but ever since I joined, I have never been more excited about blogging! That is how I connected with Lía from A Girl in Her Thirties, and went on a blind blogger coffee date and had so much fun! Then, we found out we both knew Yined Ramírez-Hendrix from BackpackoValija.com. This is also how I briefly met Belén Baquerizo, from A Hint of Life, and then surprised her when I recognized her at a local restaurant! -Experience the great feeling of being part of a community! The blogosphere is not only a virtual space, so take off your pajamas and get out there. I invite you to join The Blogger Union and enjoy its many benefits. You will be inspired and you can always inspire others! Looking forward to seeing you at the next meetup.